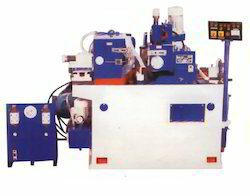 We are offering Hydraulic Centerless Grinder Machines. We offer Centerless Grinder to our valuable clients. - Design: Designed to grind cylindrical parts at high production rates and close tolerances straight shoulders & taper parts can be ground with equal ease suitable for hardened and unhardened steel, Brass, copper, aluminum, or any other materials. H. P. Singh & Co.
Prime Machine tools is Manufacturer Of Centerless Grinding Machines with prime's Spirit of Precision And Superiority, Prime Centerless Grinders Generally Meant for metallic & non-metallic Parts For Production with microns Accuracy. 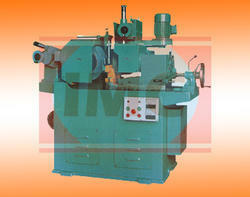 We also offer centerless grinding machine, which is used in tool rooms and various industries. These machines are used to remove material through grinding. The machine works as centered grinding machine but it has no spindle fitted in it. Centreless with marposs with auto loading + auto sizing complete automatic. The machine is mainly used for through-feed grinding of cylindrical surface of ring and shaft type parts, as well as for plunge-cut grinding of various stepped conical and cylindrical surfaces semi-automatically. - The machine bed is of one piece, close grained, graded cast iron. Used Centreless grinder HMT Made GC 100 . Wheel size20x12x8 . Machine is in working condition . Two Pieces . Very good Condition . Genuine buyers Please contact. Wheel Size: 14" x 5"